Spot it! Freeze pits players against an electronic timer and heats up the match fueled frenzy with three new games. Players race against the clock to spot matches between temperature-charged symbols, all while looking for their chance to freeze their opponents. 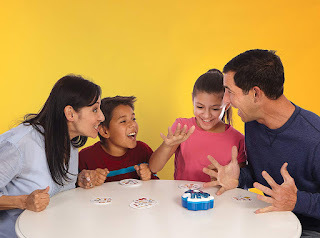 Depending on the game, the timer can grant an advantage or cause a hair-pulling drawback. Beat the freeze to win!